For years and years, your roof sits there, trouble free. However, the minute there is a problem, you know you need the services of a local company who is able to fix the problem quickly, affordably and without worry. It seems that every week, there are stories of rogue tradesmen, offering below-par work at extortionate rates. Clearly, these are the people to avoid. With considerable knowledge and understanding of the industry we are the number one choice for your roofing dilemmas. Our work fits in with your budget, and is completed promptly and skilfully. Across Paisley, we are at your beck and call to repair and maintain your roofing problems. From simple slate repair to design and construction of new roofs we can provide you with the service that you require. 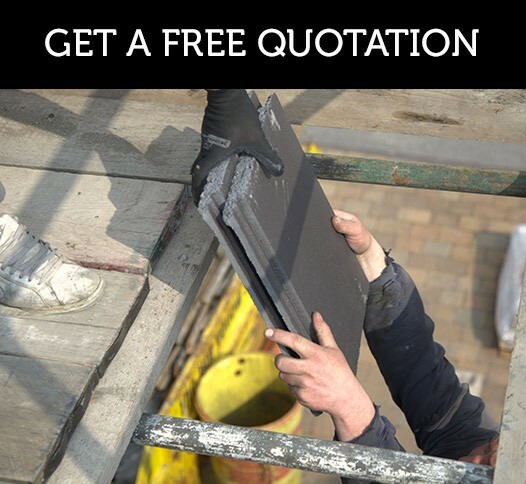 Get in touch with our roofers today. Our team await your call. Ring today to discuss your roofing problems and we will offer a free, no obligation quotation on all roofing work you want us to undertake. We cater for individual specifications, and for added assurances, all of our work is protected by our lengthy guarantee. If you live in the Paisley area and you are looking for excellent roofing workmanship alongside incomparable customer service, then call us today on 0141 340 9910. No matter how large or small the job we are here to help, call a roofer today!